Whether you are interested in history, the loch's attractions, the mountains and glens, or the coast, we can suggest a driving day trip to suit you. Please ask for information and we will be happy to print out directions to suit your requirements. 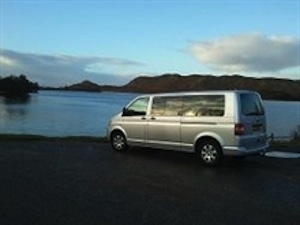 If you prefer to let someone else do the driving, companies such as Around Loch Ness offer various tours, from a circular route around Loch Ness, to a fully guided day tour including Clava Cairns, Culloden, Inverness, Loch Ness with options for a Castle visit, boat trip on Loch Ness and Distillery visit. In addition, several of the City's taxi companies, such as City Taxis Inverness offer tours for your party. What better way to take in the sights and sounds of Loch Ness than by Boat. Loch Ness by Jacobite and Cruise Loch Ness run daily boat tours of different lengths and speeds so you are sure to find one that suits your schedule (and your nerves!). 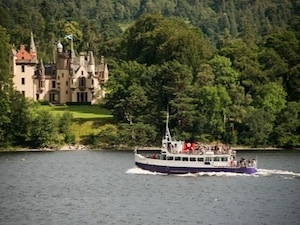 The Jacobite is a relaxing cruise of varying lengths, departing from a variety of points on the north side of Loch Ness. 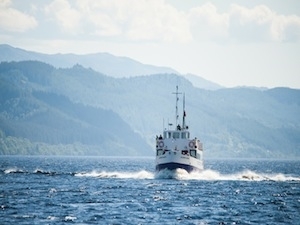 Cruise Loch Ness departs from Fort Augustus, and also have a fast rib boat, seating only 12 people for a more thrilling ride, taking you right in to the hidden bays and shorelines of south Loch Ness. If you are able to ride, there is no better way to see south Loch Ness than on horseback. Only 5 minutes from Balachladaich, Candy Cameron from Loch Ness Riding can offer short rides of 2-3 hours, day rides, or 3 day trail rides. She uses only quality horses, so riders must be comfortable at walk, trot and canter to take part. We recommend Ticket to Ride Highland for bike hire. They can provide road bikes, hybrid bikes, mountain bikes and kids bikes. They will advise on routes, deliver your bikes to the door, and even help shuttle your bags to your next destination.